24/7. This includes a after hours flood and emergency service. Our large truck mount carpet cleaning can best clean and filter this out. As recommended by all the worlds largest carpet manufactures. Auckland Steam n Dry carpet cleaners use the best, largest superior truck mount steam carpet cleaning Auckland wide. Auckland Steam n Dry carpet cleaners, can, therefore, offer you “The Best Carpet Cleaning or its Free, Money Back Carpet Cleaning Guarantee“. Auckland Steam n Dry carpet cleaners are, as a result, the best at drawing out the soil, stains and pathogens from your carpet; leaving your carpet both cleaner and drier. The germs are killed and exhausted outside. 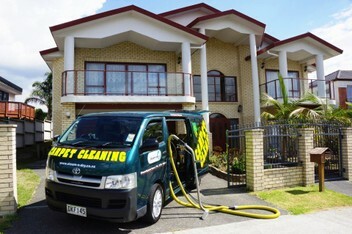 You can call 0800 783-266, or, email to book your superior truck mount carpet cleaners Auckland wide. You deserve a cleaner healthier home. Auckland Steam n Dry carpet cleaning branches are based in North Shore, West, East and South Auckland City. Auckland Steam n Dry technicians are highly trained, uniformed professionals, using both large truck mount superior steam cleaners, or, the worlds best portable units for high rise apartments. We have been providing Auckland with the following specialist services, since, 1987: Carpet cleaning, flood restoration, carpet repairs, meth cleaning, upholstery clean, also, stain removal, p cleaning, dry carpet, laying. See Auckland Steam n Dry’s feedback reviews. Servicing North Shore, West, East, South Auckland City. I have had the pleasure of using this company for the last 10 years or so; Every serviceman I have met has been friendly, polite and done a fantastic job on our carpets, upholstery and car seats. Thanks team, I look forward to another 10 years of great service!